Enjoy up to 15 hours of burn time from one load of firewood! Fire Chief clean burn technology provides 33% longer burn times, extracting 50% more usable heat from every wood load. Over twenty new Fire Chief patents pending mean more heat, less chopping, with less ash and cleanup. Longer burn times mean less worry between loads, allowing more time to do what you wish. When the digital thermostat within your living area calls for heat, a draft induction blower automatically increases the burn rate quickly, resulting in higher heat outputs to warm your home. When the thermostat no longer calls for heat, the induction blower turns off, conserving fuel. Save valuable interior space by installing a Fire Chief furnace and keep the mess outside. New Clean Burn technology means more freedom, less chopping, less ash and lower emissions. 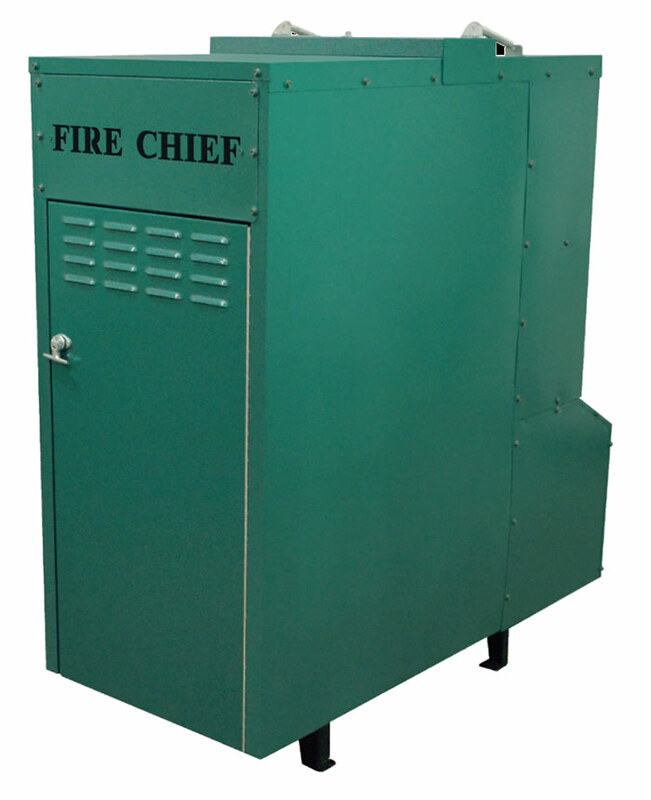 A Fire Chief furnace may be installed as close as 31" or as far as 20" from your home. UL approved for mobile and modular homes. Patented Heat Dump system protects electrical components in the event of a power failure. Designed as a furnace with the capacity to heat your whole home, not a stove in a tin can.